Vermont Timber Works has taken the leap. We went solar! 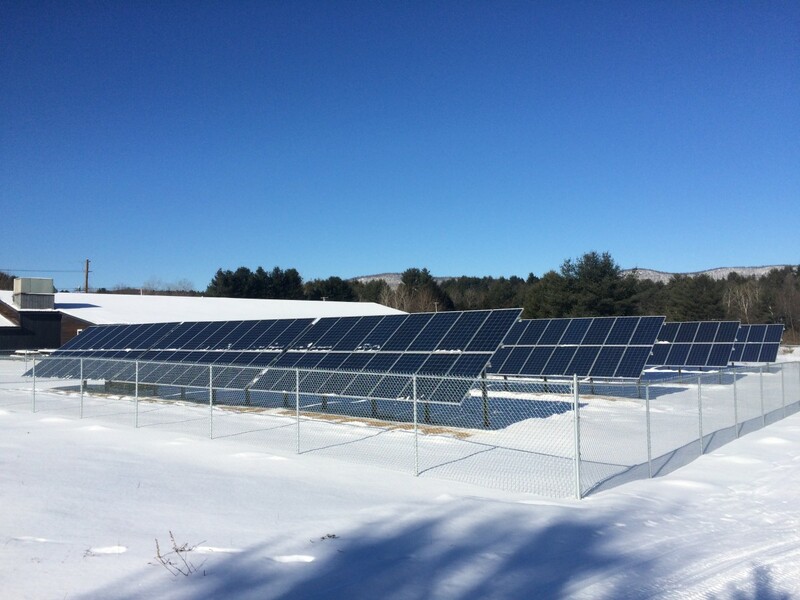 We filed project permits on October 17th and by December 30th we were powered on by the sun. The goal was to become a functioning solar powered timber frame factory by the end of 2014. It happened, thanks to a great team. 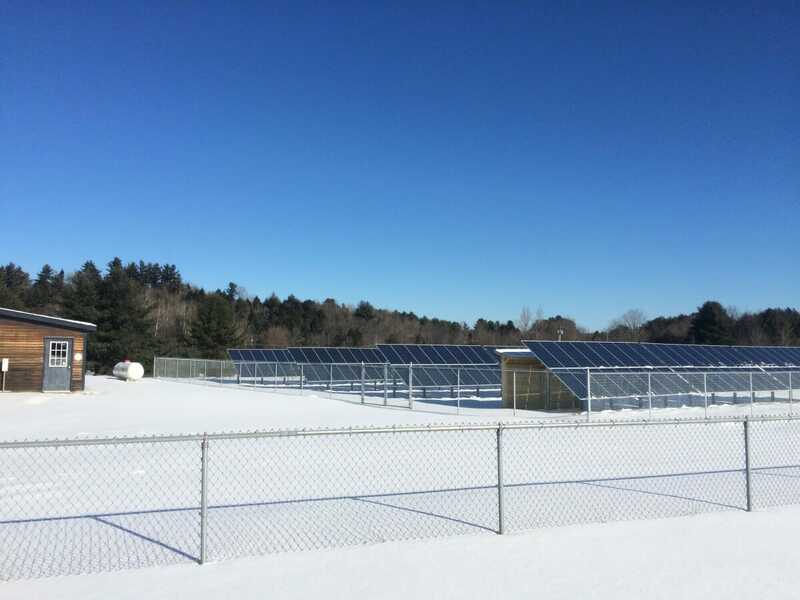 Within a challenging time frame, Tim Biebel and his team designed and installed the net-metered solar system, which is located in a field behind our shop. Tim’s company, Prudent Living, LLC is in Windsor, Vermont. Did you know they practice what they preach? Well, they absolutely do. They have solar panels on their shop and their office space. The inverter station is where all the cool things happen. The DC power is collected from the sun and converted into AC power. Then off to the grid it goes. We use the power we need then the extra power becomes available to others. 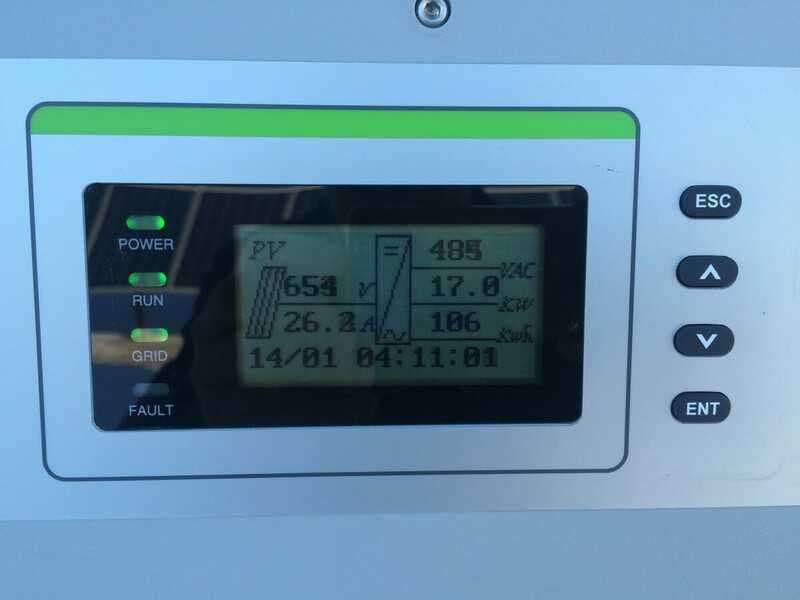 The actual inverter display shows all the important info. Check it out. We can look at the information outside, or we can look at it online at SolrenView. 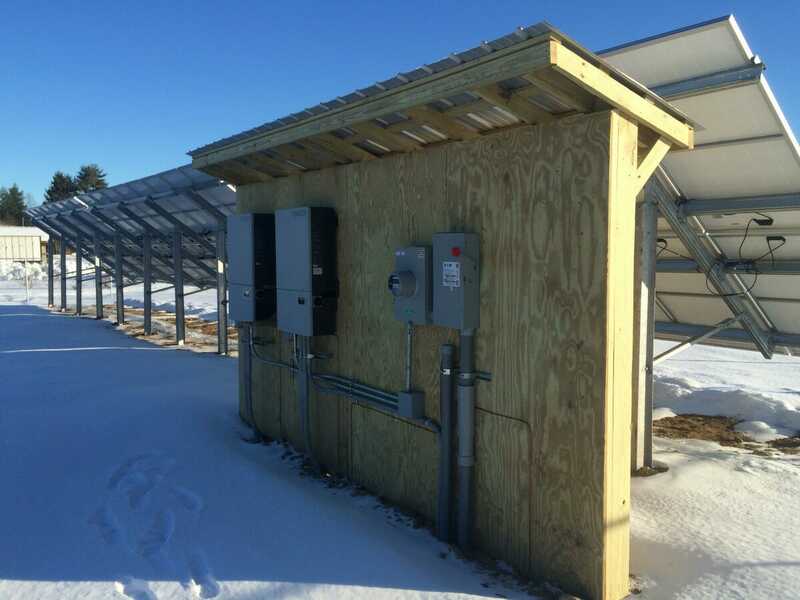 Here is a shot of the panel array from our neighbor’s baseball field. We took a time lapse video of the installation. It’s pretty cool! Enjoy! Are you wondering if going solar is for you? Give Tim a call 802-674-9155 and start the conversation. We highly recommend Prudent Living, they are a pleasure to work with. The actual panels were provided by Canadian Solar who we also recommend. Thanks for stopping by our timber framer’s blog. If you’re interested in a timber frame, or have any timber work question, we invite you to get in contact, ask an expert, or share your thoughts in the comment section below!